Free Fedex delivery withing United States. Servicio de Apostilla y traduccion. Certificamos, notariamos, enviamos por Fedex, UPS, DHL etc sus documentos legales a su direccion, embajada, consulado o pais(ver la lista de paises miembros del Hague Convention abajo. Por lo general los documentos apostillados se procesan y envian el mismo dia cuando los recibimos en la manana. Si tiene preguntas contactenos hoy. Sergio Musetti. 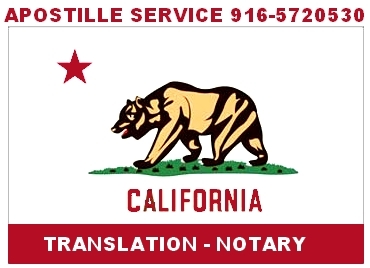 An apostille is a certification, a form of authentication issued to documents for use in countries that participate in the Hague Convention of 1961, a special seal applied by an authority to certify that a document is a true copy of an original. A list of countries that accept apostilles is provided by the US State Department. Apostilles are available in countries, which signed the Hague Convention Abolishing the Requirement of Legalization of Foreign Public Documents, popularly known as The Hague Convention. This convention, created in 1961, replaces the time consuming chain certification process used so far, where you had to go to four different authorities to get a document certified.